Inside the Rain: A Play in One Act – Oh, Bernice! 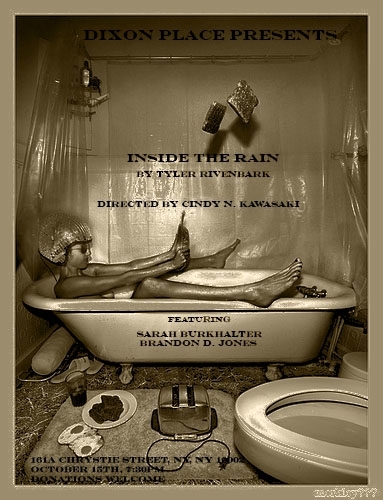 Inside the Rain, Tyler Rivenbark’s new one-act play, will be debuting at Dixon Place on Monday, October 15th, at 7:30pm. This is one night only, so don’t miss it! Dixon Place is at 161A Chrystie Street, New York, NY. Donations are welcome. All proceeds directly support Dixon Place’s artists and mission.